Involving parents in the education of their daughter, and regular communications with school are essential, and in order to facilitate this we have introduced an online learning tool called Firefly. 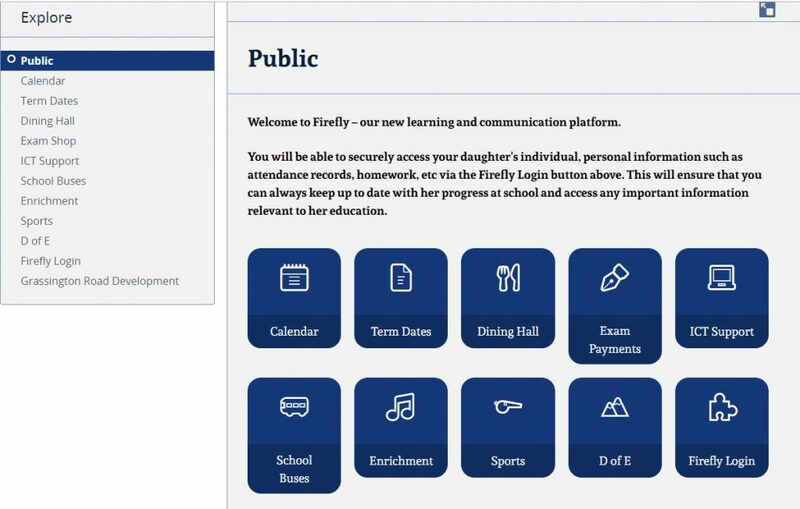 As well as being a learning and communication platform, it also provides parents with access to information about their daughter’s progress and other school material such as the calendar, timetables and school letters – all through a secure online Firefly login. Parents are provided with a password when their daughter starts school, and then they can keep up to date with all aspects of her school life, whenever and wherever they like. Engaging parents with their daughter’s learning has never been so simple. Find out more about our commitment to digital learning.